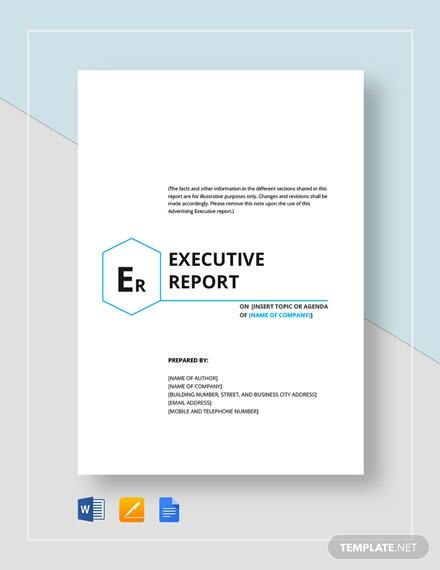 An executive report is the summary of the results of specific activities and programs that are executed by an entity in a particular period of time. However, there may be times that an executive report may also be used for planning purposes as well. 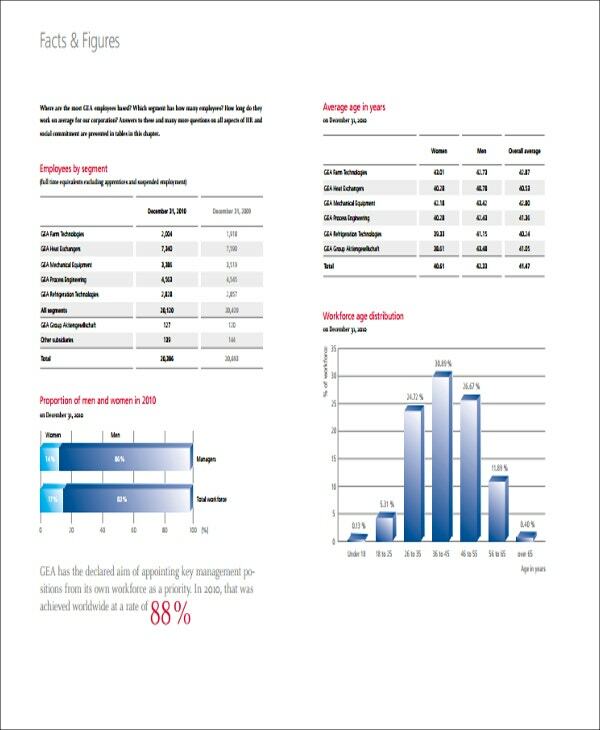 There are different variations of executive report depending on the reporting guidelines being implemented by a company. 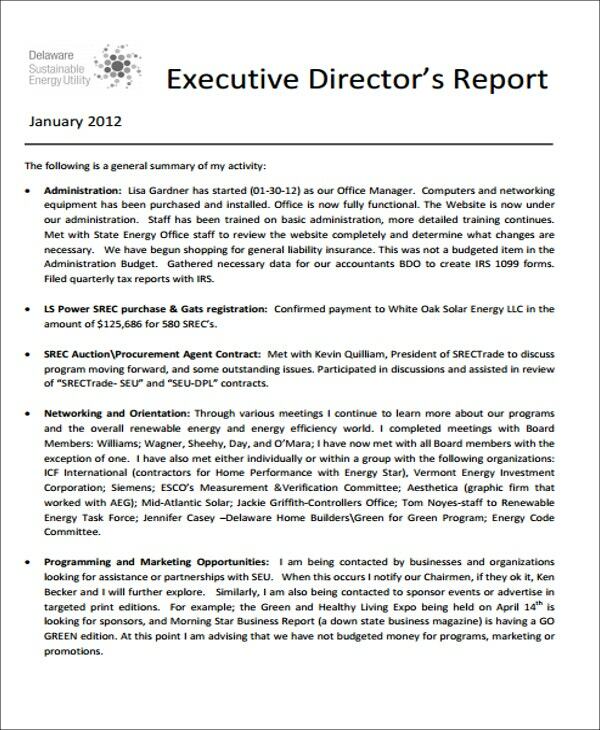 This post is a collection of executive reports that may be used as guides by any head, senior official, or chief officers of a company for their reporting duties. 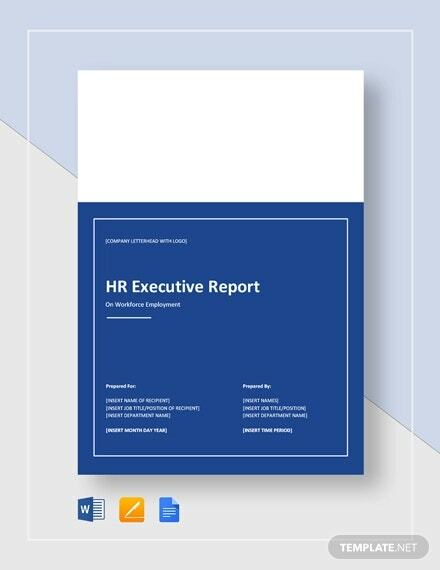 Other than our samples of executive report templates, we can also provide you with report summary and annual report template. 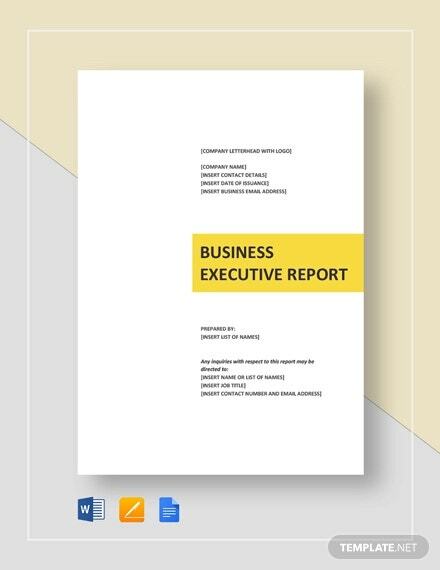 An executive report can be an executive summary that outlines the impact of the projects of the business to the company. 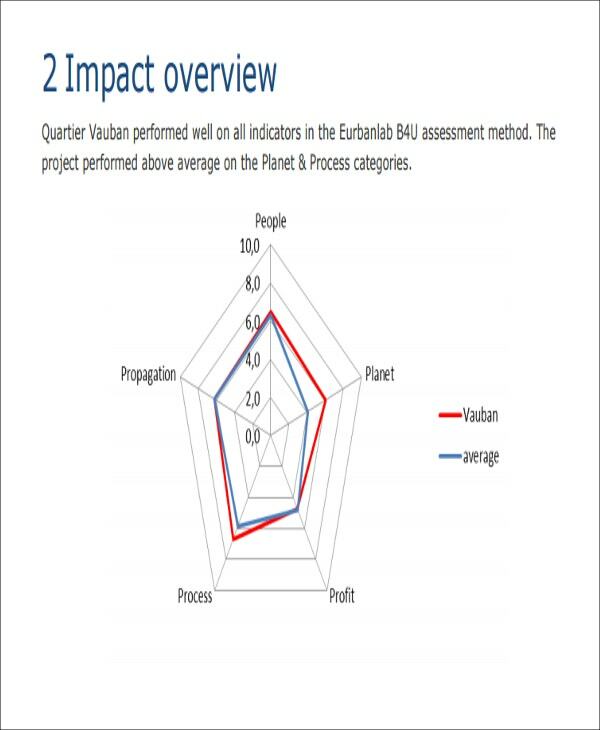 It may show graphs and other reporting tools that are needed for the presenter to visually provide information about the effects of the undertakings of the business. A monthly executive summary is usually created by the heads or directors of specific departments or divisions that are involved in the company operations. It usually consists of department updates, the present condition of the department, and the needs that they need to continue their programs and activities. 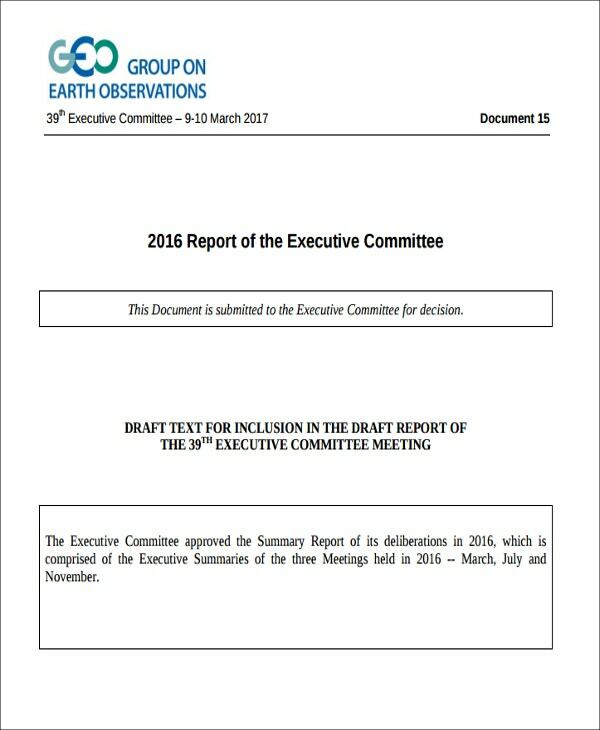 An executive committee report is a collective report of the entire business operations. It outlines all the items that are created by different areas of management for the stakeholders of the business especially the investors and management heads to be updated by the things and issues that they need to be aware of. 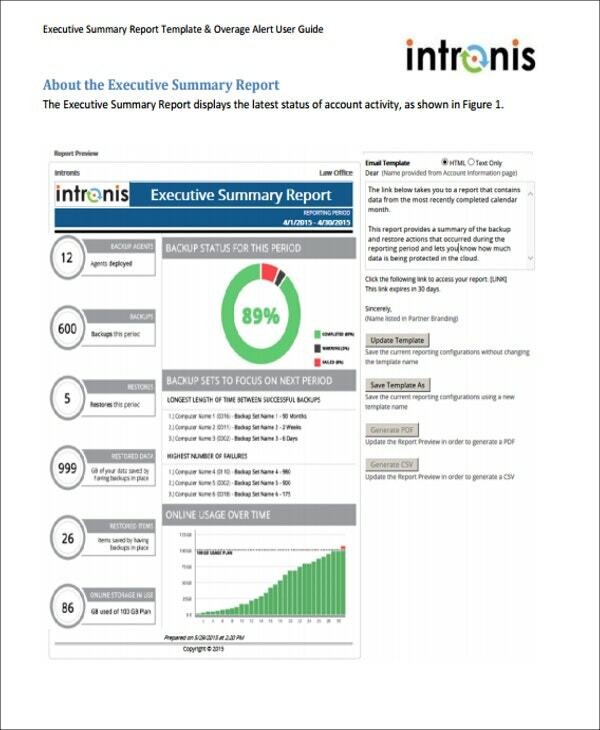 Other than our samples of executive report templates, you may also want to download our samples and templates of Data Analysis Reports from our website. 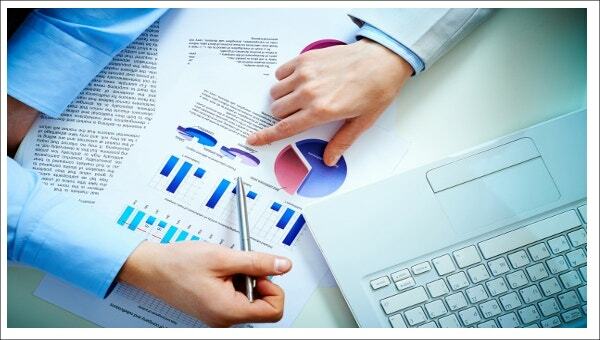 Identify the purpose of creation of the executive summary report. 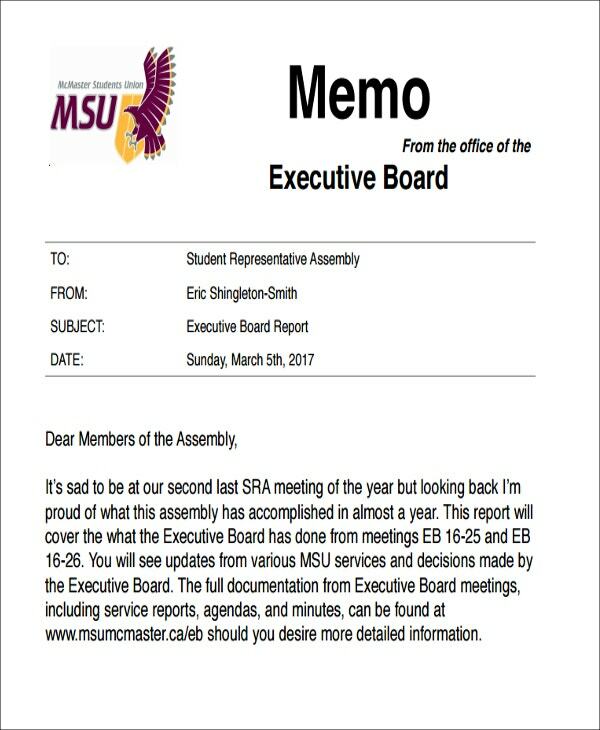 There are executive summary reports that are created to discuss everything about the business operations for the entire year. However, there may also be executive summary reports that are intended to update the management team regarding the procedures being followed by a business area and how is it doing in terms of producing results. Always remember that you will present this executive report to professional people. Assure that you will use a professional language in your entire report discussion. 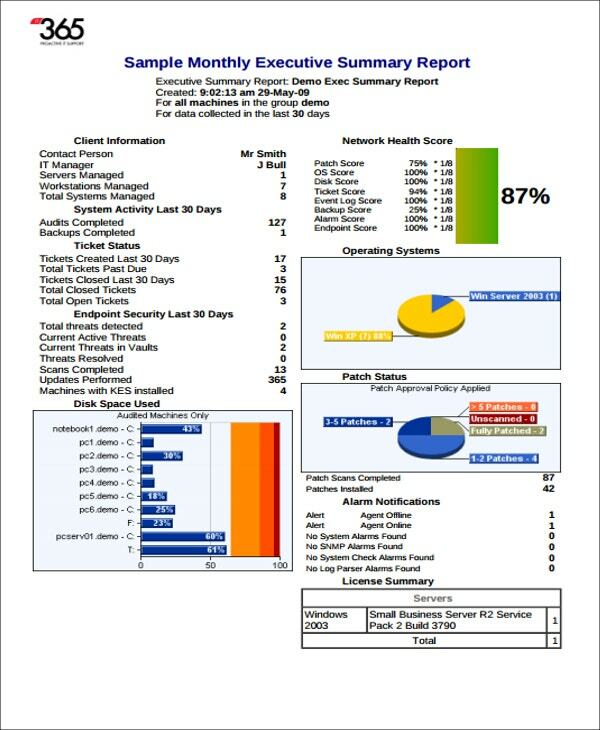 Create an report outline that will smoothly discuss the items that are needed to be given focus with. Make the discussion chronological from the content creation, data structuring, program implementation, and results. This may still vary depending on the requirements of the executive summary report that you will make. Be precise and direct to the point. Only highlight the items that are needed to be known by the people who are expected to receive and review the report. 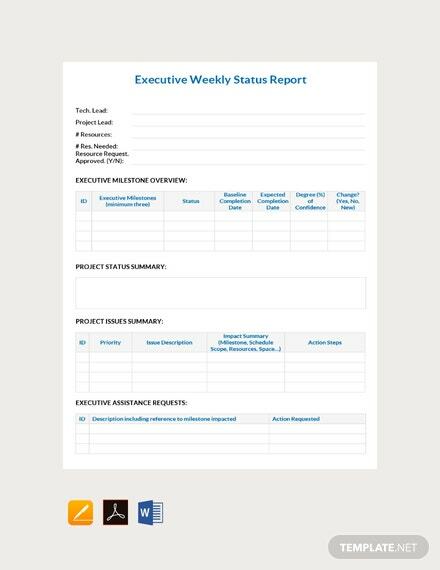 Aside from our downloadable templates of executive reports, you may also download our samples and templates of daily reports for additional references regarding the creation and usage of this specific kind of report.